The world of HIPAA compliance can seem complex. There are so many considerations to make – from choosing a HIPAA compliant fax service to enacting HIPAA compliant email providers, to ensuring that the physical premises of an office or facility are secure. Each consideration is important; there’s no doubting that. But it all adds up to a lot of complexity and a lot of work. That can feel overwhelming, especially for the owners of health practices who are already shouldering a plethora of other responsibilities themselves. This is a guest post written by Swift Systems. Practice owners don’t have to bear the weight of HIPAA compliance alone, though. Managed HIPAA Compliance offers practice owners the resource of knowledgeable, technical assistance in aligning with HIPAA standards. That means that, instead of subjecting themselves to the stress of managing HIPAA alignment, practice owners can have full confidence in their HIPAA compliance as trusted experts lead the way. That’s the premise behind Managed HIPAA Compliance – but there’s more to it than that. Here’s how Managed HIPAA Compliance works, and how it can help busy practice owners to rest easy. Who Provides Managed HIPAA Compliance? 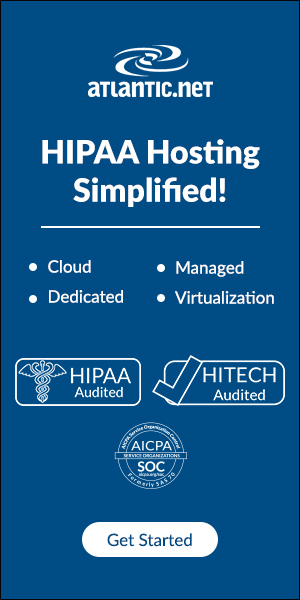 Managed HIPAA Compliance is typically offered through a managed service provider – an IT company offering services under a subscription model. That model is important because it aligns client and provider needs. Instead of paying for the time it takes to make repairs (which always results in more service recommendations that tend to take longer), clients pay a fixed cost each month. For Managed HIPAA Compliance, this means that managed service providers are incentivized to be straight shooting, as they’re held to the standard of HIPAA compliance but aren’t motivated to recommend unnecessary (and potentially costly) services. The process begins with a foundational “audit” – not an official HIPAA audit, but a replication of one in order to identify points of non-compliance. There are a few offerings available for this audit – Security Metrics, a leader in the space, offers this set of standards to guide the process. The evaluation takes place onsite, with a review of all systems and components that could impact HIPAA alignment. Based on the evaluation, a list of issues and project work is generated, with the idea being that, upon completion of the list, the practice will be HIPAA compliant. Of course, different practices have different HIPAA needs, and the technical systems in play can vary greatly, so it’s difficult to estimate an exact timeframe before the initial evaluation. Generally, though, the process will take three or more months. However, while the initial process can have a completion date, the reality is that HIPAA compliance is a constant endeavor. Accordingly, Managed HIPAA Compliance entails regular reviews. Generally, a foundational evaluation is conducted at least yearly, during which any new issues are unearthed and solved. The hope is that, after the initial audit, subsequent evaluations will result in a much shorter work list. 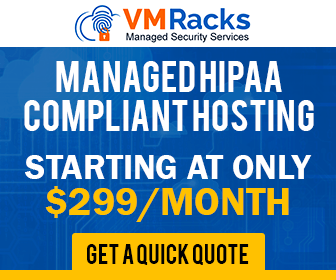 Do Managed HIPAA Compliance services Guarantee HIPAA Compliance? Because it is generally offered by a managed IT service provider, Managed HIPAA Compliance often can’t guarantee full HIPAA compliance through the engagement alone. It can guarantee that all technology systems will be compliant, and it will uncover any non-technical compliance issues and bring them to light. Obviously, however, an IT company can only recommend that non-technical components such as appropriate staff background checks and physical security procedures are enacted – the IT company can’t enact those changes itself. So, if all recommendations are completed, Managed HIPAA Compliance does guarantee full compliance, but the completion of some recommendations may be out of its scope. What are the Benefits of Managed HIPAA Compliance? With a clearer understanding of what Managed HIPAA Compliance is, let’s take a look at how it can help practice owners to rest easy. Once a practice is certified by the Managed HIPAA Compliance provider – meaning that it’s gone through the evaluation and all recommendations have been completed – many providers offer a guarantee of financial assistance in case of a HIPAA breach. This is money that they commit to paying to help defray the costs of breach response, HIPAA fines, and patient assistance. Essentially, that’s an incredibly strong vote of confidence that Managed HIPAA Compliance really does negate risk. A one-time engagement is helpful, but it can only assure HIPAA compliance at a certain point in time. As technologies change, the risk of non-compliance increases. Not so with Managed HIPAA Compliance. Because the service is continuous, it ensures that changes in technology or standard enactment are met with a quick resolution, so that compliance is always maintained. For practice owners, that means no more wondering if the compliance check from 18 months ago is still valid. It means confidence and peace of mind. This, really, is the biggest benefit of Managed HIPAA Compliance: less stress for busy practice owners. There is already an abundance of work to be done at a health practice, and HIPAA compliance is yet another thing to consider. The metaphor of the straw breaking the camel’s back would be fitting, but the truth is that HIPAA compliance is often more like a leaden log. In the midst of everything else, the burden of managing HIPAA compliance can be crushing for practice owners. With Managed HIPAA Compliance, they no longer have to carry that burden alone. Swift Systems is dedicated to delivering exceptional managed services and solutions with predictable costs. They have over two decades of experience as a leading IT service provider in Maryland. 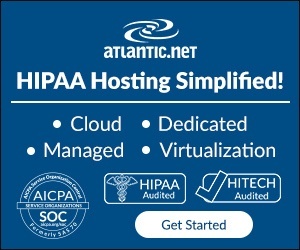 They're experts at managing HIPAA compliance from a technical perspective.